Rounding on pediatric patients and checking ins/outs. Estimating minimum appropriate urine output in dehydrated children. Minimum acceptable urine ouput for pediatric patients is typically quoted as 1ml/kg/hr. Volume losses (like vomit, diarrhea) should be replaced; pediatric patients are highly prone to dehydration due to their low blood volume. Often on inpatient pediatrics services, ins are recorded as mL/kg and outs are recorded as mL/kg/hour. Meyers RS. Pediatric Fluid and Electrolyte Therapy. The Journal of Pediatric Pharmacology and Therapeutics : JPPT. 2009;14(4):204-211. doi:10.5863/1551-6776-14.4.204. 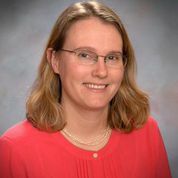 Rachel S. Meyers, PharmD, is a clinical assistant professor in the Department of Pharmacy Practice and Administration at Rutgers University. She also practices pediatrics and pediatric critical care at Saint Barnabas Medical Center in New Jersey. Dr. Meyers' research focuses on pediatric infectious disease, hypertension and outpatient pharmaceutical care.